Fr. Altier writes a weekly column titled Sunday Sermons for The Wanderer. 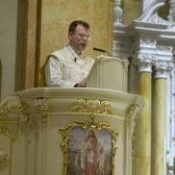 We are blessed to have another audio of one of his most recent homilies. We intend to broadcast these on a regular basis.